Weddings are wonderful occasions to get dressed up but I think most of us are familiar with that "I don't have a thing to wear" feeling. On this occasion, it wasn't the dress that was causing me angst, it was the fact that I have a fabulous dress to wear but not a piece of jewellery to wear with it! It's times like these that I'm thankful for my jewellery-making skills! 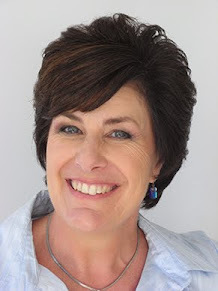 So if you're looking for a statement necklace that's not completely over the top and yet still sparkles enough to catch the light, then perhaps this is the one for you. 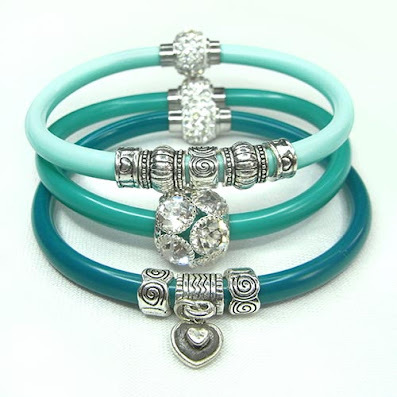 Read on for how to make your own..... in a colour to suit your own special outfit, of course! 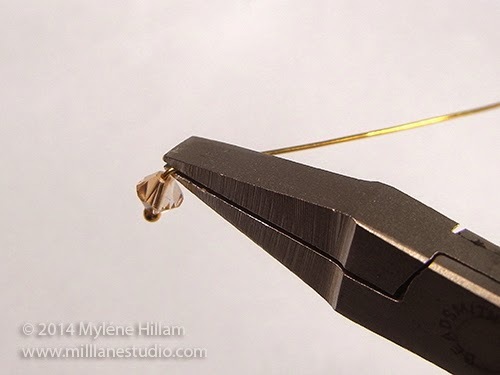 String a 4mm bicone on each of four head pins and turn a 90° angle. 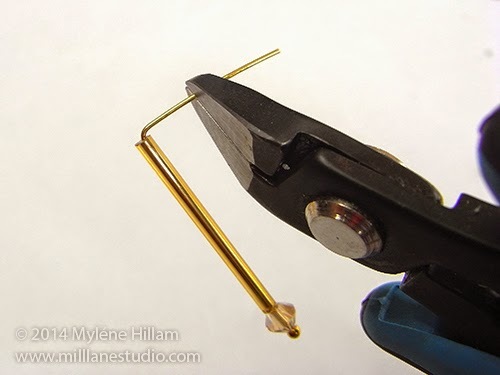 Tip: Using flat nose pliers allows you to bend the head pin closer to the top of the crystal but you need to take care that you don't chip the top of the bead. Repeat with six 6mm bicones and four 8mm bicones. Trim each head pin to 8 or 9mm (5/16"). Turn a small loop with the round nosed pliers on each one. 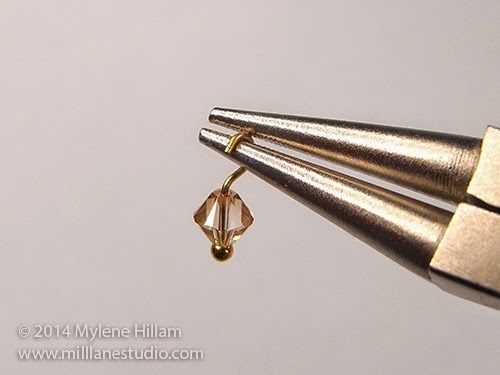 On ten of the remaining head pins, string a 4mm bicone and a bugle bead. 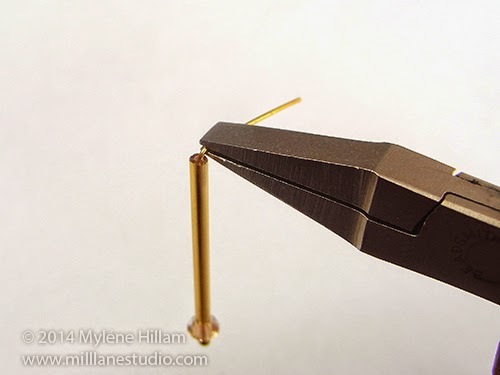 Use the flat nose pliers to bend the head pin right above the bugle bead taking care not to chip it. Repeat with the four remaining 6mm crystals and bugle beads. The components should look like this when completed. Attach a 55mm (2 1/8") length of chain to the wing pendant with a 6mm jump ring and attach it to the centre link of the cable chain with a 4mm jump ring. 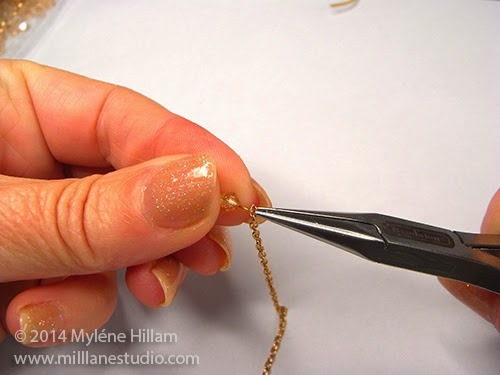 Attach chain to each of the bicones as follows: Cut four 60mm (2 3/8") lengths of fine necklace chain and attach one to each of the four 8mm bugle bead components. 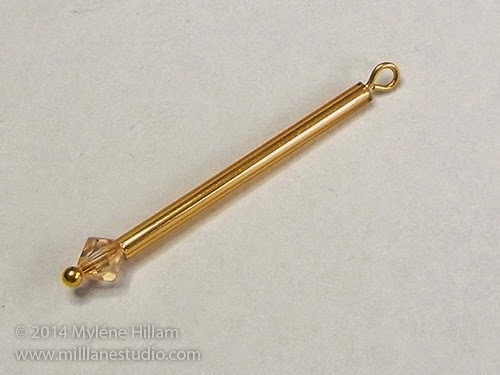 Cut six 55mm (2 1/8") lengths of chain and attach one to the eye loop of each of the 6mm beaded head pins. Cut four 53mm (2 1/8") lengths of chain and attach to the four 4mm bicones. Put half of each set of chains aside. 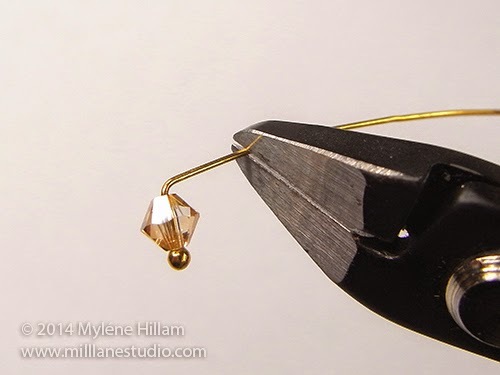 Working on the right side of the necklace and beginning with the 8mm crystals, use a jump ring to attach one crystal chain per link to the right of the wing pendant. 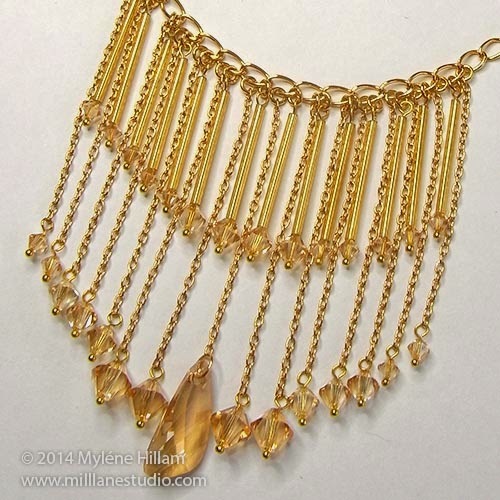 Next, attach the 6mm crystal chains and finally, the 4mm crystal chains. 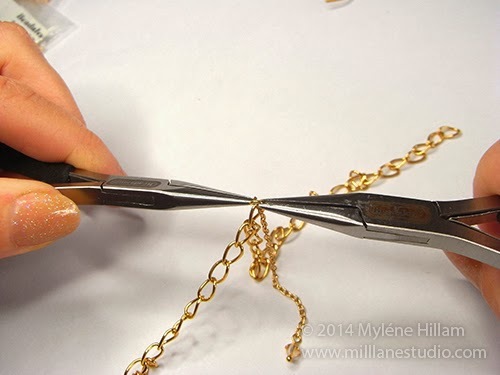 Note: The photo below is for demonstration purposes and shows the crystal chain being attached to a random link. 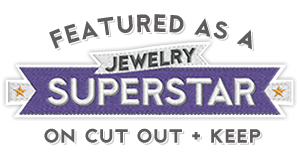 Attach the remaining crystal chains to the left hand side of the wing pendant graduating in size from the largest bicone to the smallest bicone. Put half of the bugle bead components aside. 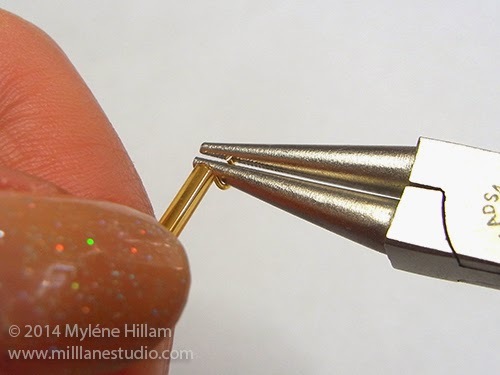 Open a 4mm jump ring and attach it to the loop of a 6mm bugle bead components. Working on the right hand side of the necklace, hook the jump ring on the same link of the cable chain as the wing pendant. Note: All chains should be placed on the right hand side of the crystal chain components. 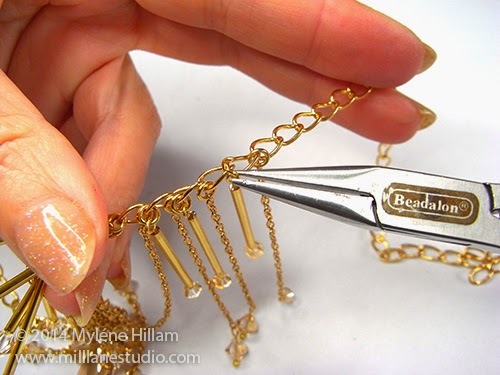 Attach a second 6mm bugle bead component to the right hand side (and on the same link of the cable chain) of the first 8mm crystal chain. Continue adding the 4mm bugle bead components in the same way to the remaining links. Note: The last crystal chain on the right hand side of the necklace will not have a bugle bead to the right of it and will be on a link on its own. 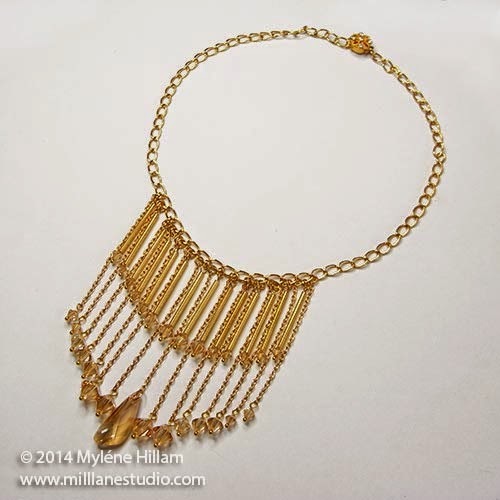 Complete the left hand side of the necklace to match. Use 4mm jump rings to attach the one half of the box clasp to each end of the cable chain. And now you're set to sparkle the evening away with your own elegantly sophisticated Swarovski necklace. 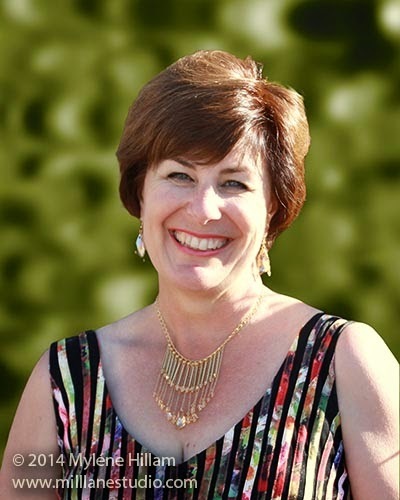 Of course, a statement necklace is a lovely focal to set of your dress but a pair of earrings will be the perfect finishing touch for your ensemble. 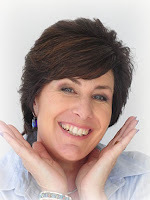 Look out for the tutorial to make a pair of matching earrings..... coming soon. !